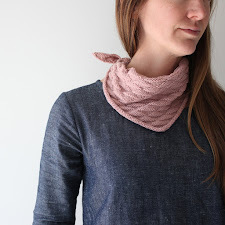 Do you ever have those moments where you’ve got piles of projects all over the place, you’ve been making lists, and ordering fabrics, and winding yarn (still knitting just not posting! ), and accumulating all manner of buttons and bindings for weeks, and finally you’re all like – I just HAVE to sew something. Do you ever have those moments? I can only plan so many things, and then the best course of action is to just DO-ooo-OOO something! Otherwise I’m always thinking of the next project to add to the end of a very long list, and the list never gets any smaller. So, I’m going to try to stop the old brain from racing ahead and cross a few things off that list. 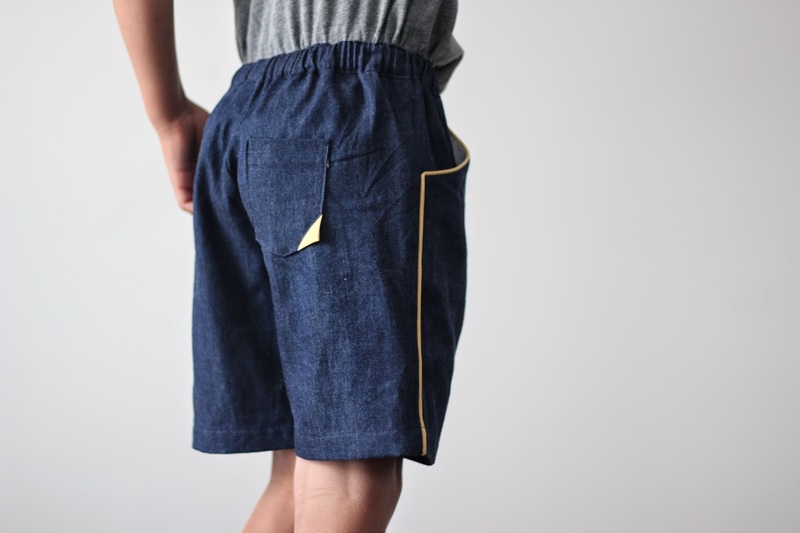 These Oliver + S Sunny Day Shorts with piped trim would be my attempt to wade through those pile of projects and turn them into piles of laundry. The Sunny Day Shorts are totally my kind of pattern: simple, versatile as the day is long, and Free! PATTERN: This pattern is true to the O + S reputation for quality, but with zero details. Its a bare bones, gender neutral, short with infinite possibilities for customization. I used Kristin’s tutorial for adding pockets, cause shorts without pockets mean I have to carry all the rocks home from the park myself. I also added an inch to the length of the Sunny Day Shorts pattern. 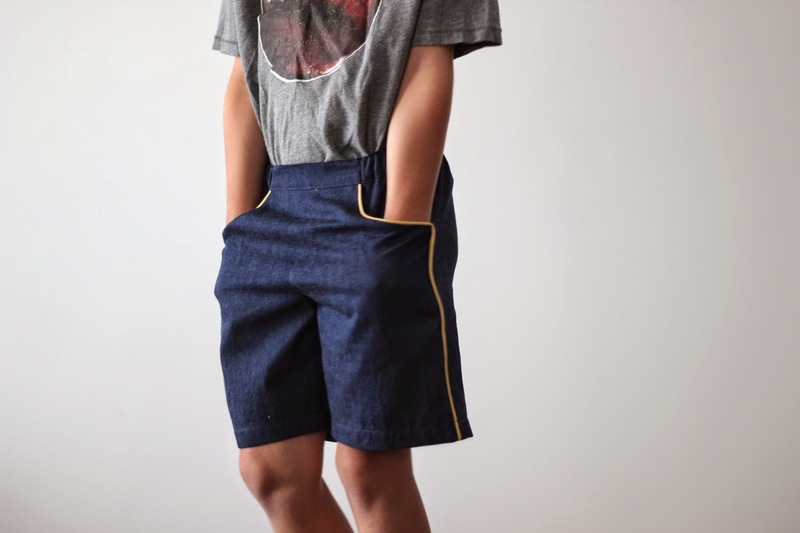 A few months ago I hemmed quite a few uniform shorts (usually in the morning while panicking that we’d miss the bus) so I know J’s shorts sweet spot. We like a 6” inseam. I added piping, which I’ve been thinking a lot about lately (who hasn’t?). 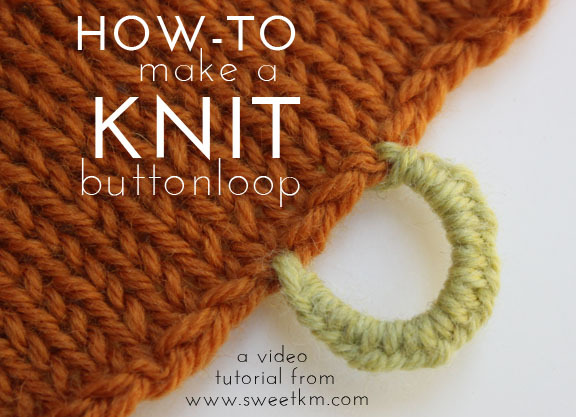 This piping is a practice for more tedious projects ahead. It either makes him look sharp, or like a mailman, or like a very sharp mailman. The back pocket is a little preview of another project I'm working on (maybe you recognize it), and I'll leave it at that. 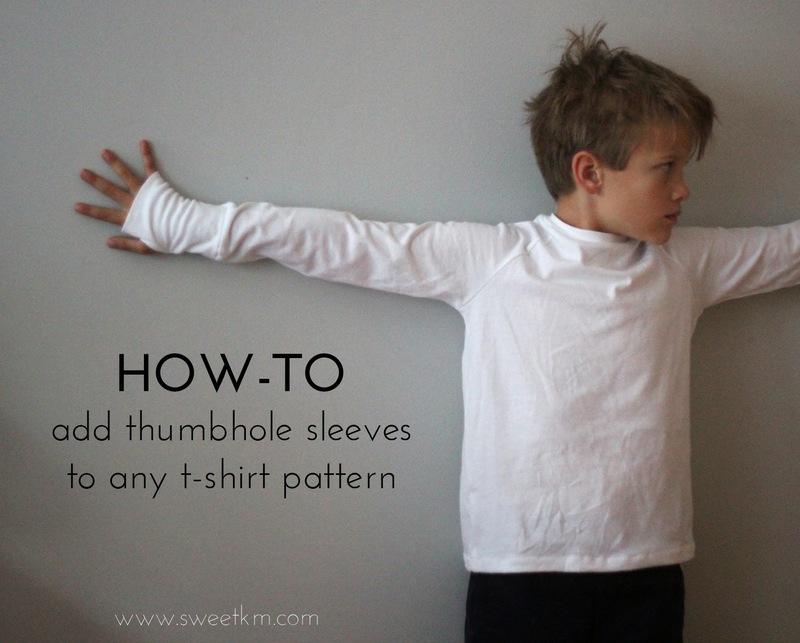 I like the idea of making my own basics, but I will not resist the temptation to fancy those basics up a bit, particularly when sewing for boys who get very little fancying up. FABRIC: I used my favorite easy to get light weight denim from Joann (used for the Self Drafted Mini) love this stuff. Washes well, and can take a beating from kids who think they are indestructible in the summertime. The pockets are lined with the same lining as the skirt. The piping is Kaufman Cambridge Cotton Lawn. FIT: I sewed a size 7, without much thought. J is 7 and pretty true to size. His waist measurement is 21 1/2". The pattern measurement was 26 1/2". I have a few more pairs of shorts planned for July sewing (of course I do. 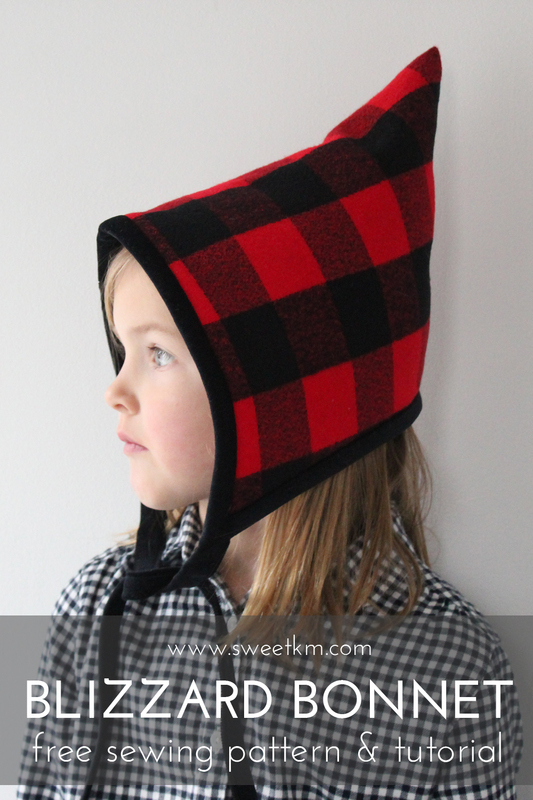 Kid's Clothes Week is fast approaching!). It was incredibly nice of Rachael over at Imagine Gnats to justify my shorts binge with her Shorts on the Line sew-a-long that just started on Kollabora. 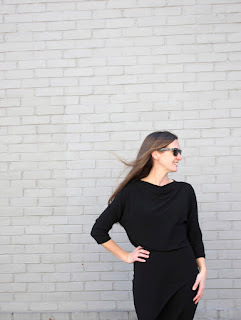 Linking up with Nicole of Frontier Dreams. Come share what you're making. I know just what you mean. I'm sewing a lot more lately just because of the fast results! Thanks Kristin. 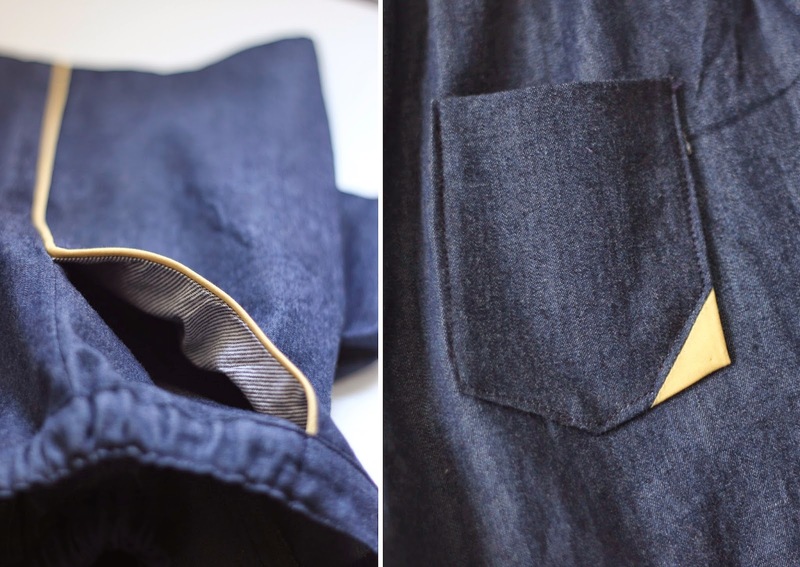 I can't take credit for the pocket detail (oh how I wish I could! ), it's from the Zonen 09 Theo button down pattern, and it's my new favorite pocket.